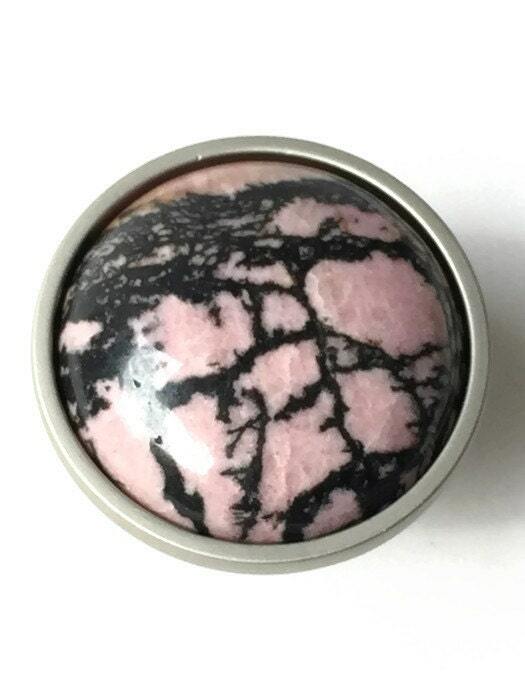 Sweet with a wild side! 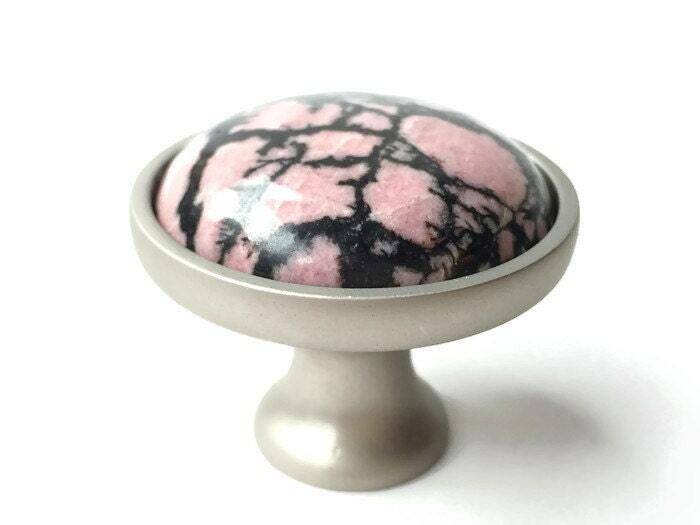 This pink and black stone knob will dress up your cabinets, drawers or closet doors. 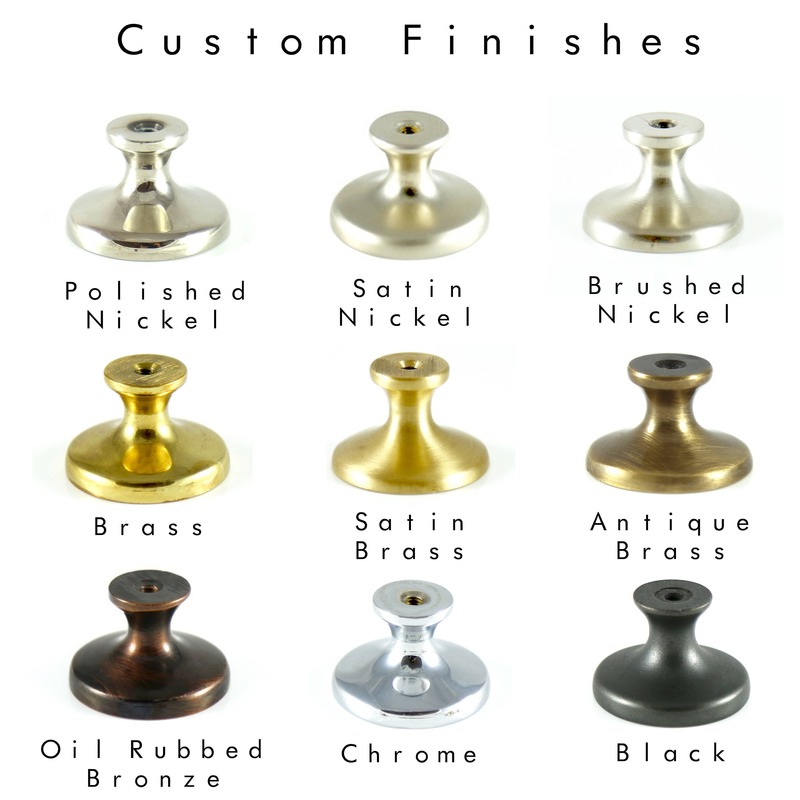 Our rhodonite knob has a sleek low-profile HEAVY SOLID BRASS setting to showcase the stone to the fullest!